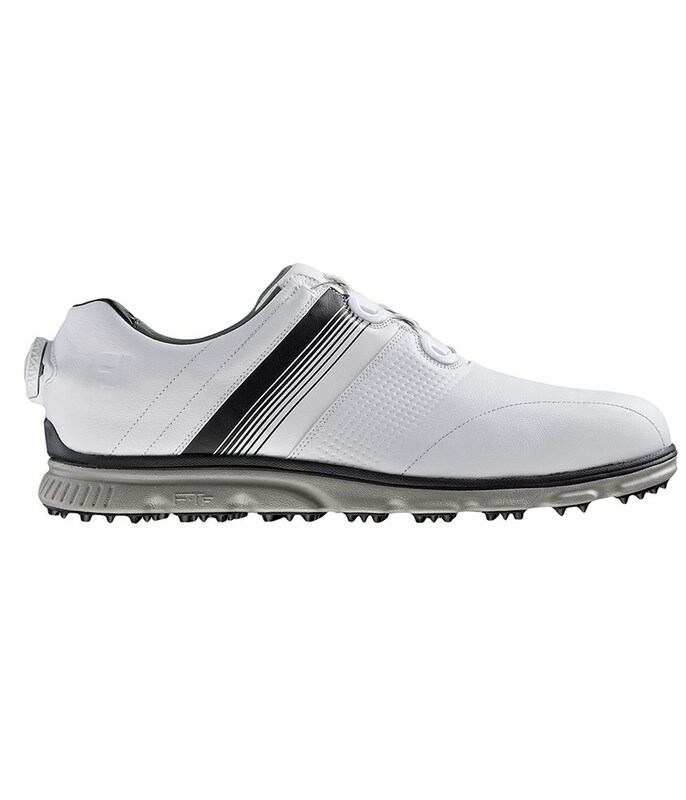 The popular tour-proven FootJoy DryJoys Casual golf shoe now comes with the brilliant Boa lacing system. Boa lacing helps improve the overall fit of the shoe, adds stability and reduces lateral movement while walking and swinging the club. 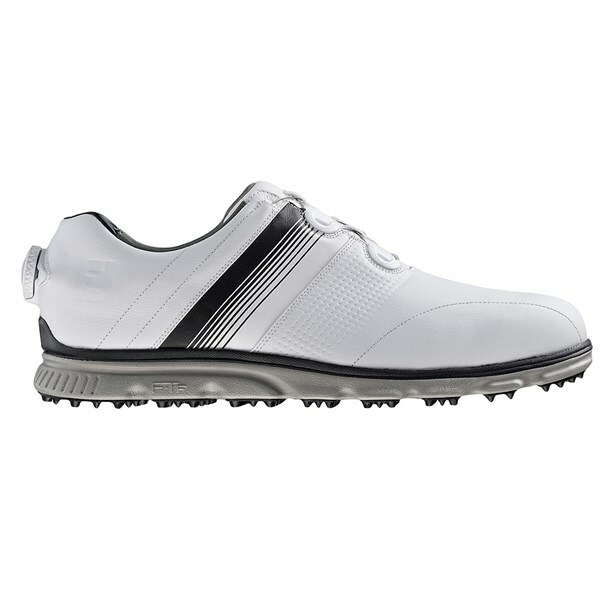 FootJoy have used an ECL (extreme comfort leather) system made from Pittards leather for the best premium fit and feel. The Pittards leather is easy to maintain and durable to extend the longevity of the shoe. A FootJoy Laser Last has been used on the DryJoys Casual golf shoe to increase comfort levels and overall fit, the Laser Last has been created from thousands of foot scans on golfers and will also reduce foot fatigue at the end of the round. A dual density FTF outsole will provide the necessary traction, grip, stability and versatility to utilise on and off the golf course.